Why not give your customers a great web experience no matter where they are? 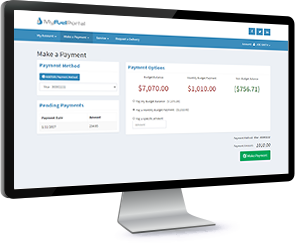 MyFuelPortal for Cargas Energy gives your customers the freedom to check their account, make payments, and so much more! Give your customers the flexibility to pay whenever it is convenient to them by making a one-time payment or setting up automatic payments on a regular schedule. What you offer your customers is up to you. There are many different modules and features that you can choose from to offer your customers. Your logo, your colors, your marketing messages, your site! Customers will enjoy a great web experience that we put together with your direction. All information is directly pulled from Cargas Energy. No transferring of files between two separate systems or maintaining data in multiple locations. All of your business processes reside in Cargas Energy – as it should be. Make a change to an account in Cargas Energy – your customer will immediately see the change. 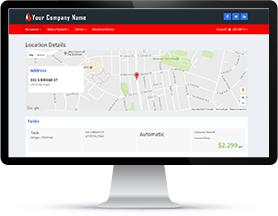 Customers can view all of their invoices, deliveries, payments, service work orders, and more. Save valuable time your employees’ spend answering questions on the phone, while providing your customers with access to their account information at their convenience. Your customers are busy and can’t always call during your hours of operation. Give them the convenience of simply submitting an online form that automatically creates an unscheduled delivery in Cargas Energy OR sends your dispatcher an email. This saves you time by automating processes and gives your customer a convenient way to communicate with you. Increase your revenues by giving your customers the flexibility to purchase service plans at their convenience. MyFuelPortal will market your service plans, automatically create the payment, and automatically create the service plan in Cargas Energy. MyFuelPortal can also handle service request in many different ways depending on what is best for your business. Since MyFuelPortal is real-time, you have instant access to what services your customers are using. Why not use that data to increase your revenue, improve your cash flow, and reduce your expenses by marketing the services that are important to you! 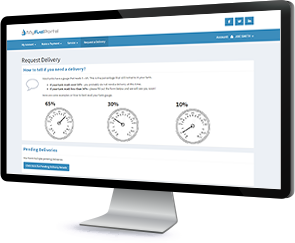 MyFuelPortal has many features including pricing notifications, auto-pay and draft notifications, administration dashboard, business operations efficiency reporting, and so much more. Why not give us a call and see how we can give your customers the convenience that they want! Change settings instantly, view operational reports and widgets, and help customers with the simple and beautifully designed administration portal. Customers can quickly see and easily navigate to what is important to them just by logging in. Improve your cash flow by giving customers the ability to make payments when it is convenient to them. Giving your customers the flexibility to setup automatic payments will improve your collections and increase your cash flow. Beautifully designed screens with information that is important to your customers. Giving your customers the convenience to create their own work orders when they need you also improves your efficiency. That’s a win – win! Allowing your will call and automatic customers to request deliveries saves your dispatcher and customer service representatives time. Do your customers know you offer service plans that make their service more efficient and binds them closer to you, and increases your revenue? They will with MyFuelPortal! Fill out the form below or call us at (252) 689-7500 to Request a Demo!